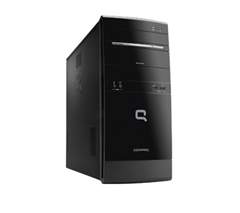 Compaq Presario CQ5500 Desktop PCs are perfect for checking e-mail and surfing the Web. The clean, functional industrial design blends easily into any home. Whatever your personal needs are, Compaq Presario PCs provide the best bang for your buck. This entry was posted on Thursday, August 19th, 2010 at 5:31 pm	and is filed under Uncategorized. You can follow any responses to this entry through the RSS 2.0 feed. Responses are currently closed, but you can trackback from your own site.